Once you realize the news is designed to entertain you and that you want to be entertained by it, then you can be free. Necessary, but not sufficient. 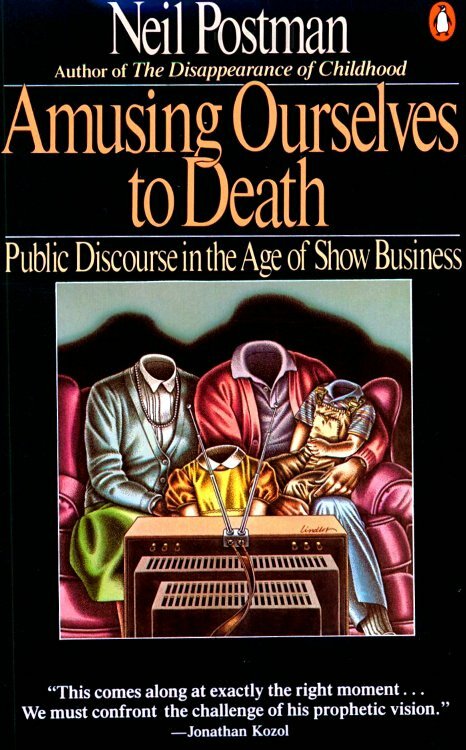 I’ve found this Neil Postman observation does more to stiffen my spine: broadcasters are the sellers, advertisers are the buyers, viewers are the product. So true. So sadly true. In Postman’s time ads were placed right after (or adjacent to) stories about death and war. Just now I had a video ad start playing in the middle of a story about the Baltimore riots, but first it forced me to click an “X” to get rid of a car ad that can obscured the whole screen. And if you’re lucky the headline isn’t intentionally misleading. #4 – Can you expand just a bit on this? Just to make sure I’m understanding? We often act as if God is only doing something through men we with PR. Ok thanks Matt. Kind of like if our “works” as a church aren’t posted on FB, did they ever really happen? …I’m trying to chuckle more….